Save 5% on all stays of 2 or more days, available only when booking direct on our website. Luxury without ostentation. If just three words could suffice to convey the essence of the Hotel Napoleon, it would probably be those. That simple statement tells you how we can offer all the advantages of a remarkable four star hotel without being prim, pretentious or pompous. It speaks of our special place on the Côte d' Azur, close to the sea and yet somehow removed from the hubbub of resort life. This is a hotel which is at once refined and welcoming, elegant yet warm, dignified yet comfortable, pampering yet not overbearing, chic yet casual. The Hotel Napoleon is a haven of relaxation and tranquillity, yet it also has life and vibrancy. Picturesquely located between the turquoise waters of the Mediterranean and the soaring mountains which rise beyond, the Hotel Napoleon welcomes you for an unforgettable holiday, distinguished by a charming environment, upscale amenities and exceptional service. In the intimate setting of our elegant rooms, amidst the lush verdure and peaceful dappled shade of our tropical garden, in the cosily welcoming ambience of our lounge bar or near the temptingly refreshing waters of our lovely outdoor pool, everyone can find a setting to suit their mood. But wherever you decide to linger, you will know you are enjoying a true home from home. 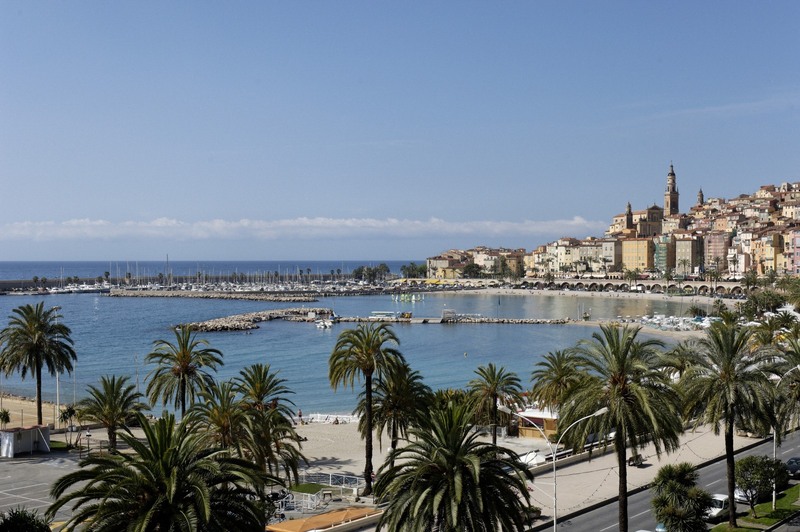 In the exceptional setting of the Bay of Garavan and the town of Menton, the Hotel Napoleon enjoys a very privileged location within easy walking distance of various beaches and just a short way from the charming and picturesque old town. We are also just a few minutes from the Italian border. The train station, Gare de Menton Garavan, is also close to the hotel, and less than an hour from Nice airport. Whether you wish to engage in a wide variety of water sports, visit the gorgeous botanical gardens for which Menton is renowned, explore the local museums, markets and places of historical interest or enjoy a walk in nearby romantic Italy or Monaco, you will find that you have quick and easy access to all these activities and more. Or you can simply relax and watch the world go by.